Hey guys. Hope you all had a lovely weekend. We didn't really do much to be honest, just a chilled out one. On the blog today I have a review of the new Uber Chic Collection 19. 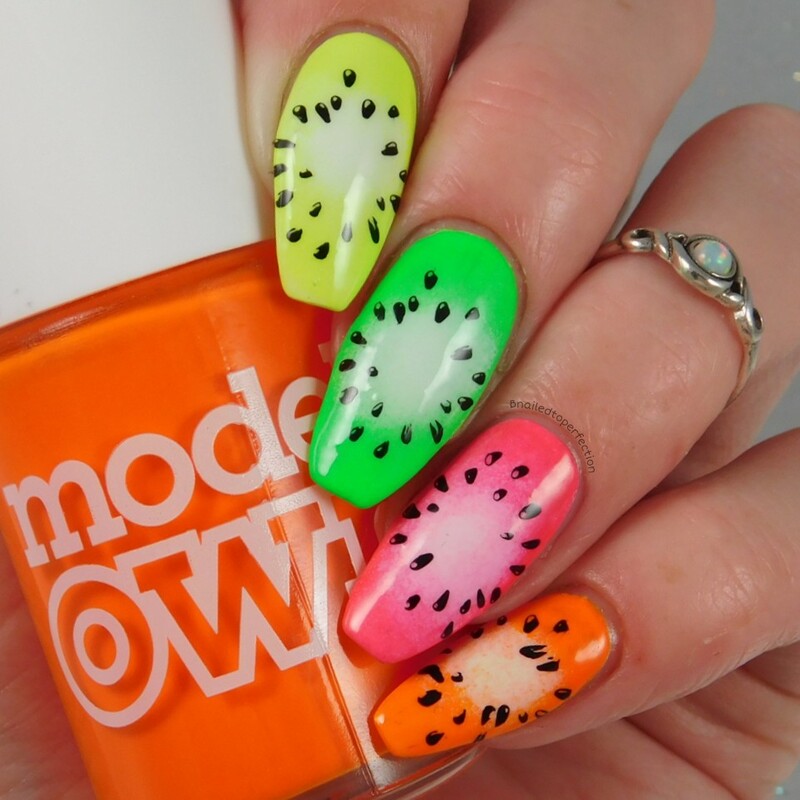 This collection is filled with fruity images perfect for summer! We've got layered strawberries, layered ice-cream cones and even an image designed especially for radial gradients. 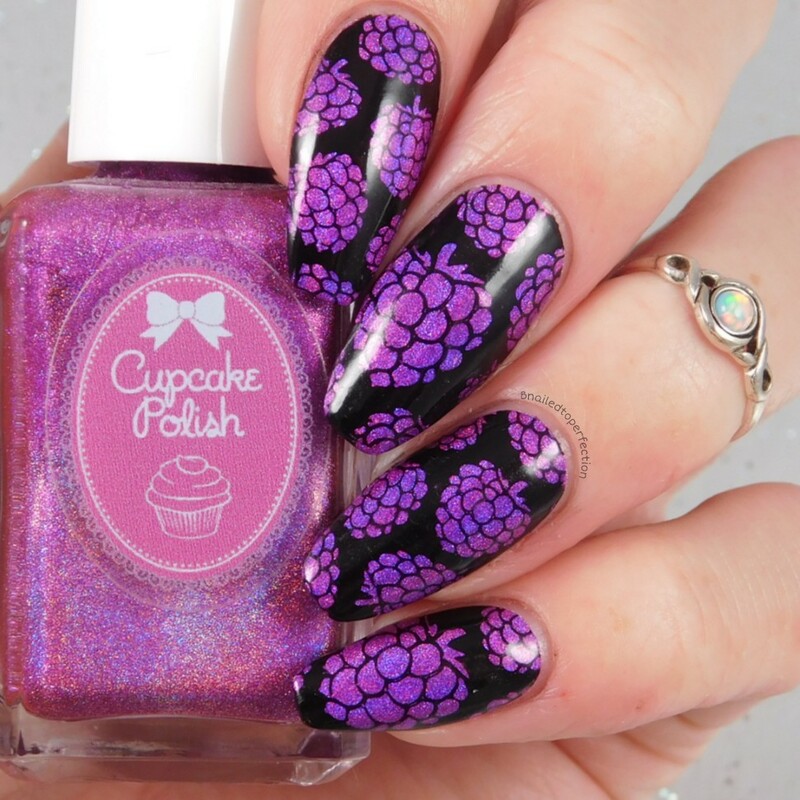 My mani using 19-01 had to include the image for a radial gradient! 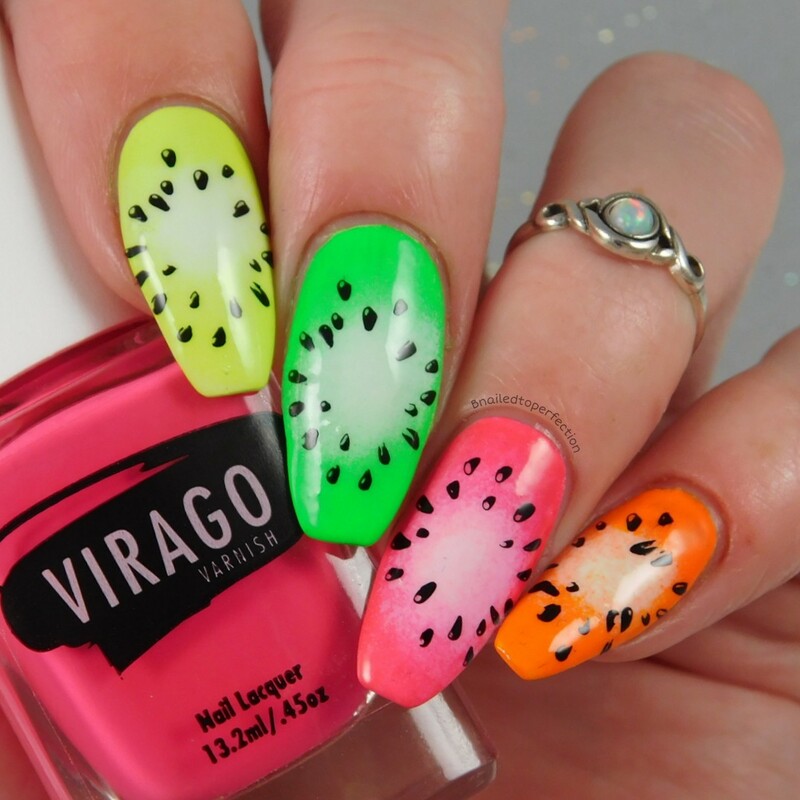 So I went with neon fruit nails. I used three different Virago Varnish colours and one Models own as part of a gradient with Blanc Out by China Glaze. Left to right, Summer Highlighter Of My Life, I Just Can't Kelp It, Tsunami Mommy and Models Own Beach Hut. I had to mess about with the seeds when it came to stamping my pinky as it's a lot more narrow than the others but I made it work! 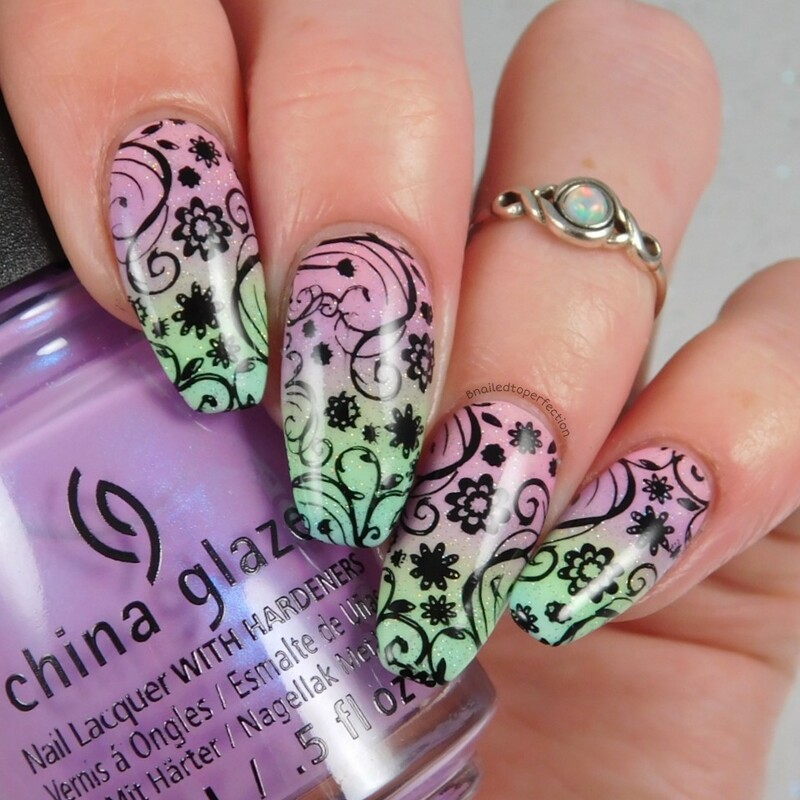 I recently got some new China Glaze polishes and I just had to do a pretty gradient with them under this image from 19-02. 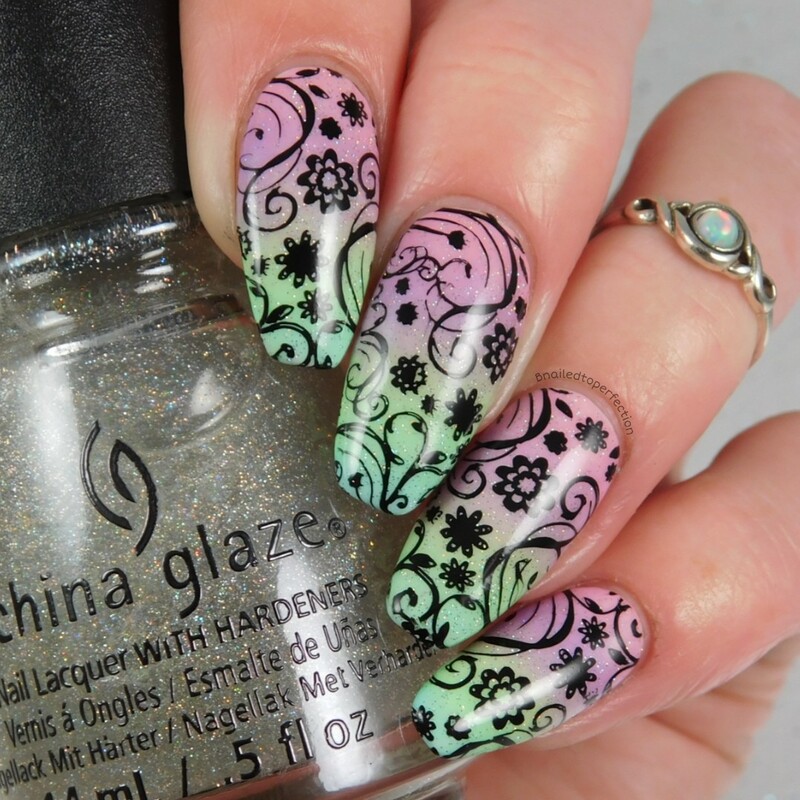 It's such a pretty and delicate swirly design so I felt it would be perfect over a pretty pastel gradient. I used Belle Of A Baller, Let's Jam, Lime After Lime and Chalk Me Up! and topped it with Fairy Dust before I stamped. 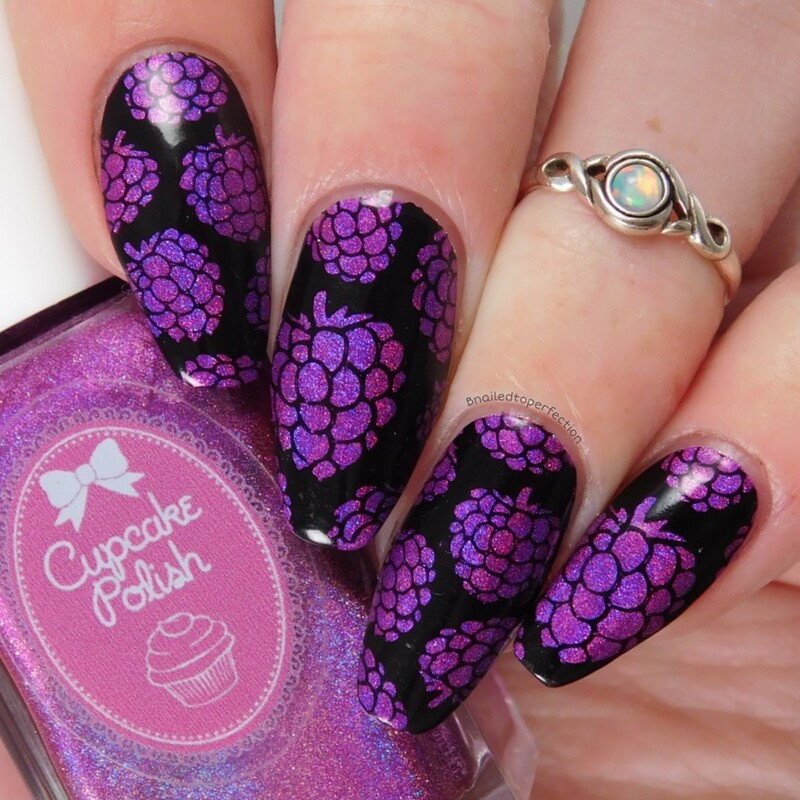 As soon as I saw these berries on 19-03 I knew I had to whip out Berry Good Looking by Cupcake Polish. After all, it was the summer colour of 2016 and this collection just screams summer! Just look how perfectly they stamped too. I'm always in awe of the quality of Uber Chic plates. I can see Collection 19 being a bit hit for the summer! 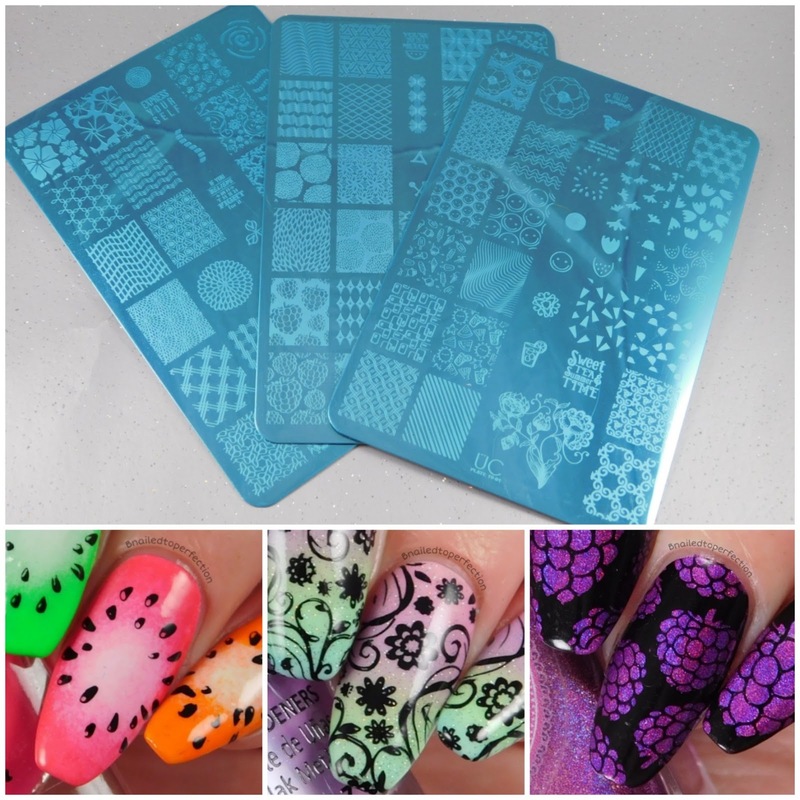 You can get this collection from Nail-Artisan for £20.40 as well as lots of other Uber Chic items.